A newspaper analysis has found that while some safety steps have been taken across Texas following the deadly 2013 explosion at a plant in West, tons of the same kind of fertilizer that exploded there can still be found near schools and homes in some towns. The Dallas Morning News says its investigation found that many of the agricultural supply and feed stores that used to stock a lot of ammonium nitrate have stopped selling it and others have implemented safeguards such as moving the chemical out of dilapidated buildings and into fire-resistant concrete structures. But it reports many recommendations by safety investigators have gone unheeded. None of the sites that responded to newspaper inquiries reported installing sprinklers systems. The state does not require them, but the U.S. Chemical Safety Board has said such a system could have stopped the West accident before it became a fatal explosion. And despite calls for keeping stockpiles of ammonium nitrate away from populated areas, in up to eight communities, tons of the chemical still sit near schools, houses, nursing homes and even a hospital, according to the newspaper's analysis of state data. Using a state database and inspection reports obtained from the State Fire Marshal's Office, the newspaper identified 19 businesses stocking large amounts of ammonium nitrate within a half-mile of schools, hospitals or nursing homes. Though the state does not disclose the names of the businesses, the newspaper identified them by cross-checking location data. According to store employees or local fire officials contacted by the newspaper, 11 of those businesses no longer sell ammonium nitrate. Some said they stopped because there was too much regulatory paperwork or they were worried about liability. Others said they faced pressure from the community. Of the eight remaining facilities, someone with the facility or local fire officials confirmed to the newspaper that four still sell the fertilizer. For three of the facilities, no one responded to requests for comment. The newspaper found that at one facility, trucks and rail cars there were labeled for ammonium nitrate, but the parent company declined to comment. 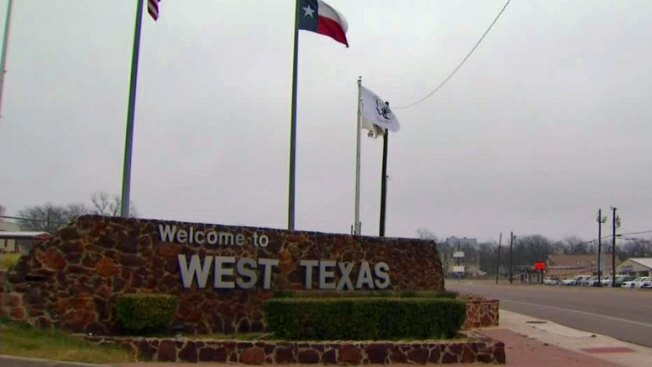 When the West fertilizer plant was built in 1962, it was far from the center of the small farming town about 75 miles south of Dallas. But the community grew northward toward the site, which by 2013 was close to houses, an apartment complex, a nursing home and three schools. On April 13, 2013, a blaze heated up 30 tons of ammonium nitrate. Investigators don't know for sure what detonated the fertilizer, which can also be used as an explosive. The blast carved a crater 10 feet deep and damaged nearby schools. Twelve of the 15 who died were first responders; more than 300 people were injured. A government study found that while 54 percent of the people who went to the hospital after the explosion had been within 1,000 feet of the blast, many who sought medical help had been farther away. When the safety board investigated, it pointed to a lack of regulations about "siting of facilities that store and distribute" ammonium-nitrate fertilizer and said regulations addressing issues such as buffer zones or barricades, "the severity of the casualties and damage experienced in West could have been significantly reduced."